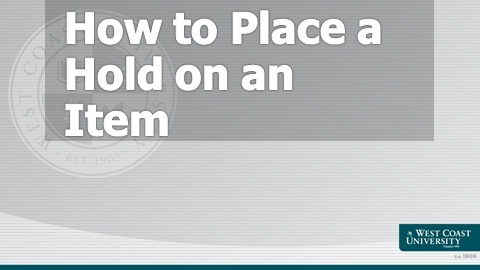 How to? 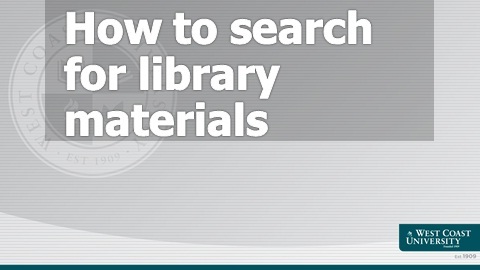 - Library Information - LibGuides at West Coast University, Inc. Note: If you currently have a barcode on the back of your student ID, please use that number as your Library ID. 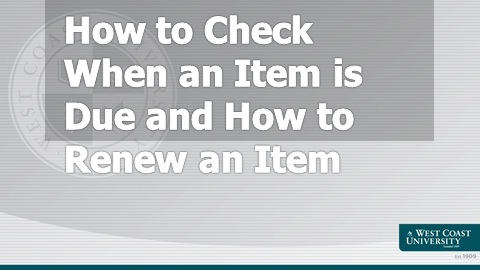 The Library ID format described in the tutorial only applies to new students or those who established a library account after August 2015. The login box shown in the image below will appear automatically when trying to access one of the databases in our A-Z Database List on the Library Website as shown below. 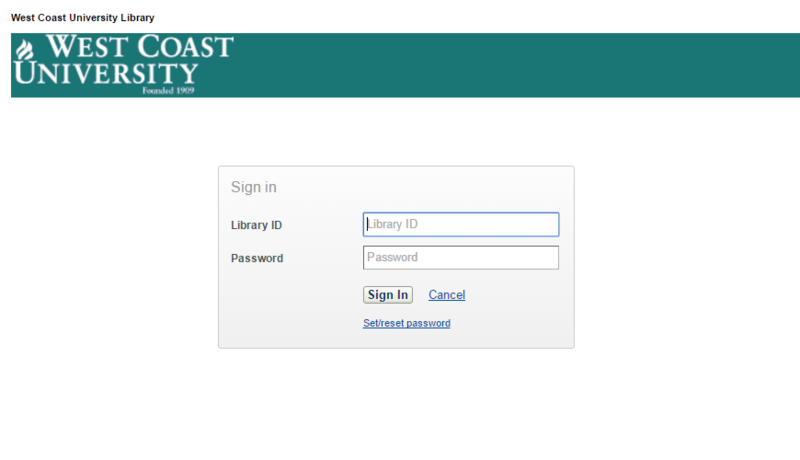 You will also be asked to login after trying to access an article, journal, or ebook from the Library Catalog. Login using your Library ID and password. Don't have a password? Click Set/reset Password to have an email sent to you with a link to create a new password. Having trouble logging in to your off-campus WCU Library account? Please contact your Campus Library by e-mail, telephone, in-person, or use our 24/7 chat feature. If you would like to recommend an item fill out the WCU Library Purchase Suggestion form and give it to your Librarian for review. If you would like to suggest a change or a guide to be added to our Research Guides, please fill out the Research Guide Revision form and give it to your Librarian for review. If you would like to remove your account on WorldCat, please follow the steps described in the document above. If you would like to review materials on your account, please have your Library ID and password available.